Students from two of Pembrokeshire College’s creative courses competed against students from across Wales last week to find out who has the most creative potential. The Pontio Arts Centre in Bangor was the host for both the Skills Wales Popular Music Competition and the Skills Wales Digital Video Competition. Hosted on the same day, over 100 students from colleges across Wales gathered to put their creative skills to the test. An annual event, these media and creative competitions are designed to enable learners to develop and demonstrate a variety of creative, technical and vocational skills that are essential within the contemporary creative media and music industries. In the Popular Music Competition, Music Performance and Production band, the ‘Exiles’ had 15 minutes to perform three songs which could be a mix of either cover versions or original compositions. Meanwhile, in the Digital Video Production Competition, Creative Media Production students received their brief beforehand and chose to film a promotional music video for the Exiles. Following a screening of their video to industry judges and fellow competitors, the students had to deliver a five minute long presentation outlining the aims and objectives for their video along with their production process in terms of creativity and technique. The final production entitled ‘Memory’ saw the students scoop second place. Creative Media production lecturer, Denys Bassett-Jones, accompanied the students and commented: “I was absolutely delighted that the talents of the students were recognised on such a big stage. 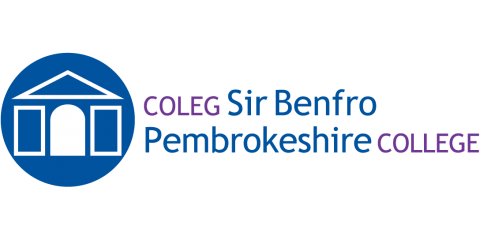 Live brief competitions and projects are an important part of the creative arts courses at Pembrokeshire College and we are extremely proud of what these learners have achieved. The professionalism shown by both the media and music students whilst participating in this project was extremely impressive, and this is clearly evident in the quality of the finished film”.